Notes: Dixon #91. Bar Rep. 65. Butler Vol. 4. Map 57.9 (not actually covered in Butler but relevant map). Grinsell SOUTH BRENT 3. "A cist lies on the right bank of the Avon, a short distance above Brent Moor House, about 175 feet below the small stream which flows south of Riders Rings ... 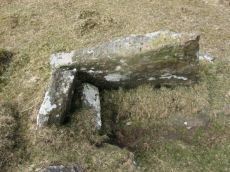 The cist, which consists of two end stones and one side stone, stands in a small cairn." Doubtful. 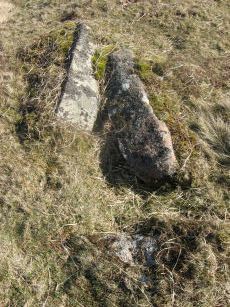 (grinsell) "supposed cairn of large stones, enclosing possible cist placed se-nw. The whole area is covered with clitter, and it is possible that the site may be natural. In summer it is under dense bracken. No measurements given." 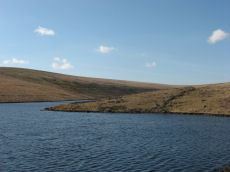 Notes: Enclosed settlement on Dean Moor, excavated between 1954 and 1956, prior to construction of the reservoir. Prehistoric walled enclosure containing at least 13 huts together with pens. Parallels have been drawn with the settlement at Kestor. Part of the prehistoric settlement was incorporated into a medieval farmstead (see HER record 14221). Part of site now flooded by Avon Reservoir. Notes: "A Bronze Age pastoral settlement on Gripper's Hill, Dean Prior, was excavated in July 1954 by Lady Aileen Fox on behalf of the Ministry of Works. The site comprises four enclosures containing ten or more huts." Notes: Turner A9. NMR A. 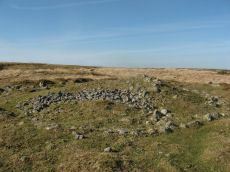 "Ring cairn on Gripper's Hill; stone ring 14.0 metres in diameter internally, with bank 1.2 meters wide and 0.3 meters high." Notes: Turner A55. "One of a pair of cairns on Gripper's Hill." 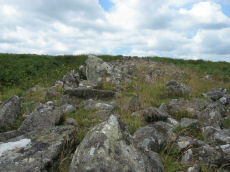 " A ring cairn, Harbourne Head consisting of a stone ring 17.0 metres in diameter internally, with bank 1.8 metres wide and 0.4 metres high. 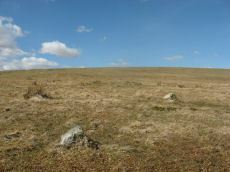 Cairn contains a central mound, 12.0 metres in diameter, 0.8 metres high. 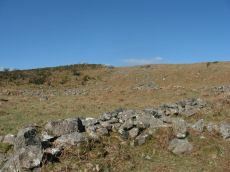 This type of cairn is referred to as a Dartmoor version of the Wessex bell barrows." Notes: Turner B12. "Embanked stone circle; annular bank of earth and/or stones with inner kerb of orthostats. 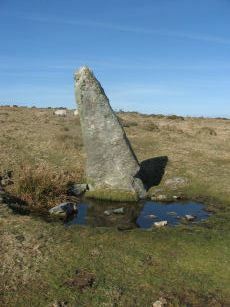 Measures 15.0 metres in diameter internally with bank 2.0 metres wide and 0.5 meters high with a cairn in the centre, 9.0 metres in diameter and 1.1 metres in height. The west and south sides have been disturbed." 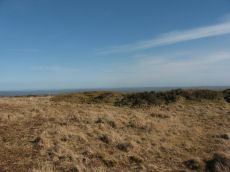 Notes: Butler Hickley Ridge Cairn and Cist 2. 56.14.3 diagram Vol 5 p.175. "Two slabs, possibly of a cist, embedded in low mound south of the leat on Hickley Ridge." Lethbridge diagram p.84, photo bottom left. Notes: Butler Hickley Ridge Cist 1. 56.14.3 diagram Vol 5 p.175. 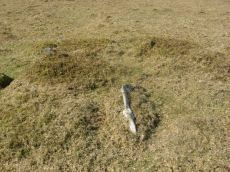 "One side and one end slab of cist on Hickley Ridge, with other fallen stones in the mound. 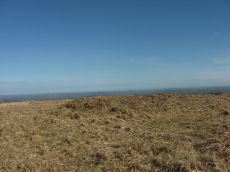 One of three badly damaged cists aligned south-west to north-east across Hickley Ridge, recognised by Butler in 1995." Lethbridge diagram and photo on right of p.84.